- Comes with a carry case, but it is just a soft case. It would’ve been better if a hard case was included. Are you looking for a great travel spinning rod for pike fishing? You might want to check out St. Croix spinning rod then. Suitable for catching a wide range of species, from northern pike to king salmon, is a tough rod with a light weight feel to it. 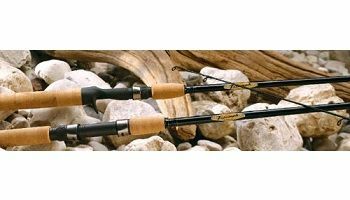 An accurate long-caster which you will just love to pack with you on your every fishing trip, this spinning rod offers you great action. And, yes, it is extremely convenient to carry around, on a plane as well as in a car. There are travel rods which allow you to do one thing but not other. For instance, you can use them to catch medium-sized fish species but not for light lures. Thankfully, you face no such problem with this travel rod. It is not only very easy to carry around, because of its 4-piece design, but it also offers strength and sensitivity in good measures. It will holds its own when a fight is on and you will have no trouble catching 25lb salmon or other similar fish. You can cast long distances with it—and accurately if you use proper weight lure. This rod offers the following features. St. Croix rod offers you great resilience in tough moments. If you often go pike fishing, you would just enjoy using this rod, because it won’t let the pike flee under the boat. A medium action rod, it bends to a ‘C’ shape, in the top half of its length. This, in turn, allows anglers to fish small as well as large species with good control. 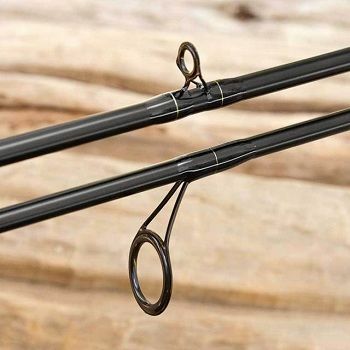 You don’t have to worry about hook power, because this rod provides plenty of it. You can use it to fish in many different situations and for many different fish species. The rod is made of special graphite, which keeps it weight light without compromising on strength. Another important feature to consider when buying a new fishing rod, action refers to what extent a rod will bend when pressure is exerted on its tip. Action-wise, fishing rods are divided into three categories: fast action, medium/moderate action, and slow action. It is extremely important that you pick a rod with an action suitable to your fishing needs. This spinning rod is medium/moderate action. This means it bends in the top-half of its length, and therefore is most suitable for large as well small species and offers impressive hook setting power and casting distance. In this travel rod, St. Croix has given equal importance to three important features: strength, versatility, and lightweight. You can fish with travel rod all day long, without worrying about sore shoulders at the end of the day. Thanks to its lightweight, the rod is also very easy to carry around. And the fact that it is a 4-piece rod certainly makes thing even easier. However, don’t let its lightweight fool you, because the rod is pretty strong. You can easily catch 25 lb salmons or 40 inch pike with it. You can even fish frogs in thick weeds with it. When you use a St. Croix travel rod for a few times, you can’t help feel good about its versatility. Of course, it has other strengths too, but versatility is one of its stronger points. You get moderate action and the level of sensitivity you require to react quickly when the heat is on. Thanks to its light to medium range, you can use it for fishing many different species. A medium action real, this rod has a quick recovery after casting. Although it is tough, it has sufficient sensitivity. You can comfortably use it for light lures. Made from premium-quality SCII graphite, the rod is quite strong, so you don’t have to worry about it breaking easily. 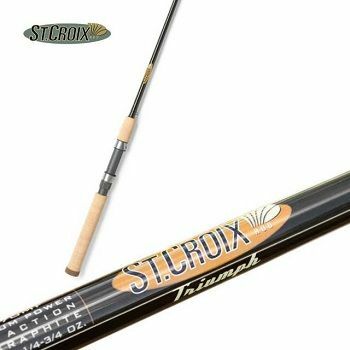 St. Croix Triumph rod is a great travel rod. Ideal for backpacking, camping, and hiking, the rod is a good mix of strength, versatility, and sensitivity. It has enough resilience to haul in 25lb salmons and sufficient sensitivity for light lures. 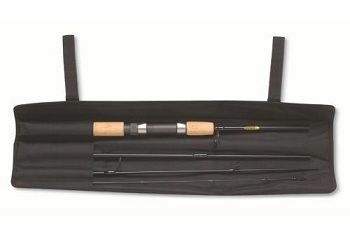 Triumph travel rod is an all-rounder, one which you would love to carry with you on every fishing trip.